It has been very clear to the judges, and to everyone else I’m sure, that these 5 teams, these 20 Nordic Baristas, have gone to great lengths to do well in these disciplines, which are disciplines required in every aspect of quality coffee, as well as in so many other things.
. All teams have showed outstanding communicative skills and efficient craftmanship, reflecting the fact that they are indeed, true professionals in their craft. 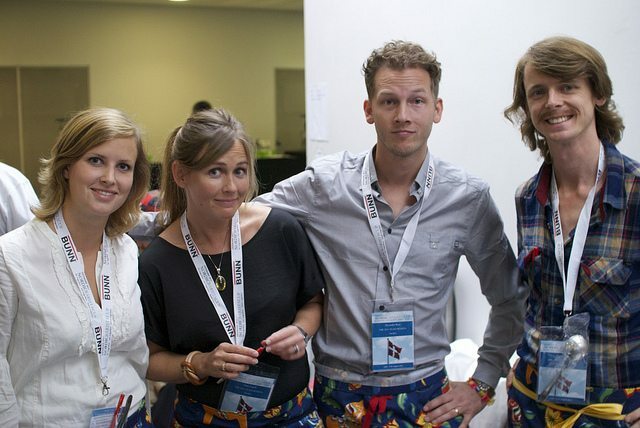 The Nordic Barista Cup 2011 winning team have proven themselves to excel in all the before mentioned disciplines. Yes, they are the winners by score, but while achieving this, they have also managed to display the highest standards of additional qualities, such as welcoming and overcoming change – the quality of adaption if you will. The ability to step up and truck through, even though the bout seems impossible to win – the quality of persistence. And, true as it is for all of the teams, the winning team has also shown sportsmanship, respectfulness, a sound and positive sense of humility as well as an undeniable display of inclusive, rather than ecsclusive, mindset.